Dr Ema Vyroubalova of Trinity College, Dublin has written a wonderfully in depth review of Shakespeare In Bits for the peer-reviewed, academic, online journal This Rough Magic. "Although Shakespeare in Bits has been conceived primarily for secondary school students, it has a great potential for use at the tertiary level as well. The comprehensive integration of the unabridged original text, which facilitates a user-friendly presentation of the plays without compromising their textual integrity, means that university students can benefit from the editions too. Shakespeare in Bits can reintroduce the plays as lively versatile works that lend themselves to multimedia approaches to undergraduate students whose earlier encounters with the Bard proved uninspiring." "This Irish-made app is one of the best educational programs in the App Store. It brings to life a series of Shakespeare plays with translation, graphics and a superb overall experience." When it comes to learning English, there appears to be a big taste for the Chinese according to recent statistics fromMindConnex Learning, the Dublin headquartered developer of digital learning software solutions aimed at the school education sector. 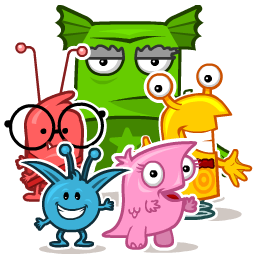 After its widely acclaimed Shakespeare in Bits, MindConnex has now developed and launched The Word Monsters, which uses phonics, interactive animation, activities, and additional optional instruction in a quirky narrative environment to give children a rich and engaging introduction to reading, and is developed in accordance with modern literacy pedagogical standards while still remaining appealing to today's children. "There are an increasing number of impressive phonics and early-reading apps on iPad, with The Word Monsters: Learn to Read shaping up as one of the best we’ve seen." "That’s what makes The Word Monsters an impressive app: the attention to detail ... and the responsible attitude of its developer."